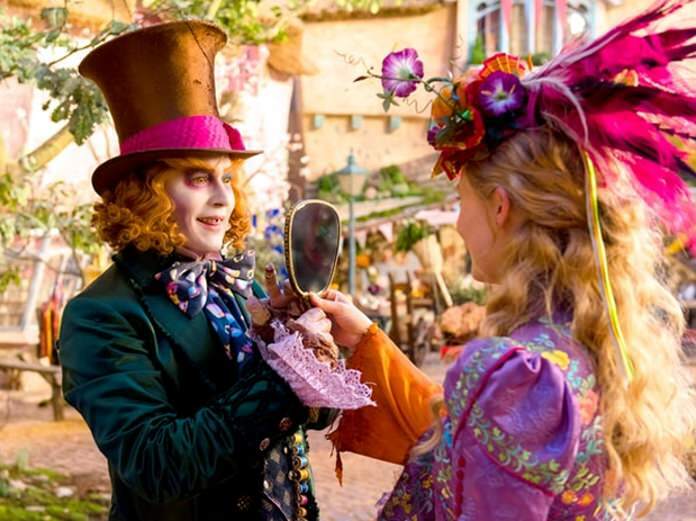 Los Angeles (AP) – “Alice Through the Looking Glass,” like its predecessor, owes very little to Lewis Carroll. Textual adherence is somewhat beside the point when serving as a sequel to something that also cherry picked. But, lest you think that a six-year gap and the absence of Tim Burton in the director’s chair might have allowed for a return to the gleeful absurdity of Carroll, it doesn’t. 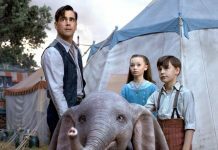 Screenwriter Linda Woolverton (“Beauty and the Beast”) has again disposed of the source material in favor of something more linear — a story about Alice (Mia Wasikowska) looking for the Hatter’s (Johnny Depp) family. Director James Bobin’s (“The Muppets”) film trudges on through the lushly designed world answering questions we never asked, like, “What was the Mad Hatter’s childhood like?” And, “why does the Red Queen have such a large head?” In other words, it’s an Underland origin story. We meet Alice some years after the first film faced again with the prospect of losing her independence. Last time she was fleeing a proposal. This time her livelihood is in jeopardy (she’s a sea captain now, and a good one). So when life gets frustrating in the real world, Alice climbs through a mirror and is transported back to Underland. Her old friends have been waiting for her to fix another problem: The Mad Hatter. The nightmarish Hatter, who has developed a more pronounced (and annoying) lisp, is wallowing in life-threatening depression (manifested in combed hair, a sicklier pallor and a grown up wardrobe) because he’s found an object that makes him believe his family is alive. This was not something that seemed to afflict Hatter in the first film, but maybe he’s just really good at compartmentalizing. Alice decides to be a noble friend and take on Time to get to the bottom of what really happened on the day when the Red Queen (Helena Bonham Carter) unleashed her Jabberwocky on their village. Time, you should know, is part clock, part man (Sacha Baron Cohen) and sounds a lot like Werner Herzog. His sequences, and his little steampunk companions are actually a high point. It’s the one time Bobin can really get out from under Burton’s suffocating precedent. Time talks a big game and can also decide when someone’s time is up, but his own command is dependent on a larger than life clock that’s powered by another device which also functions as a time travel machine. That’s what Alice steals to careen back through time to try to correct the original sins of Underland — a quest she continues even after she learns of the possibly catastrophic consequences of her actions. While it might sound intriguing on paper, on the screen it’s less than enchanting and the plot gets less and less compelling as it goes on. Aside from Depp’s descent into grating ghoulishness, the acting of the returning characters remains mostly the same. Bonham Carter and Anne Hathaway (The White Queen) continue to do their affected, scenery-chewing shticks, while the host of Underland creatures and their famous voices (including the late Alan Rickman) look more dated than ever — beholden to Burton’s CGI renderings from six years ago. Excitement and wonder are fairly hard to conjure up when your Mad Hatter is consumed with daddy issues, your protagonist is nonchalant about everything, and the oddities of this world are suddenly getting scientific explanations and backstories that really only show how awfully ordinary everything once was. “Alice Through the Looking Glass,” a Walt Disney Pictures release, is rated PG by the Motion Picture Association of America for “fantasy action/peril and some language.” Running time: 113 minutes. One and a half stars out of four.